This Alnico Bar Magnet is ideal for magnetic demonstrations in classrooms or for use as a piece of equipment in the laboratory. Alnico is an acronym referring to a family of iron alloys which in addition to iron are composed primarily of aluminum (Al), nickel (Ni) and cobalt (Co), hence al-ni-co. Alnico alloys are ferromagnetic, with a high coercivity (resistance to loss of magnetism) and are used to make permanent magnets. 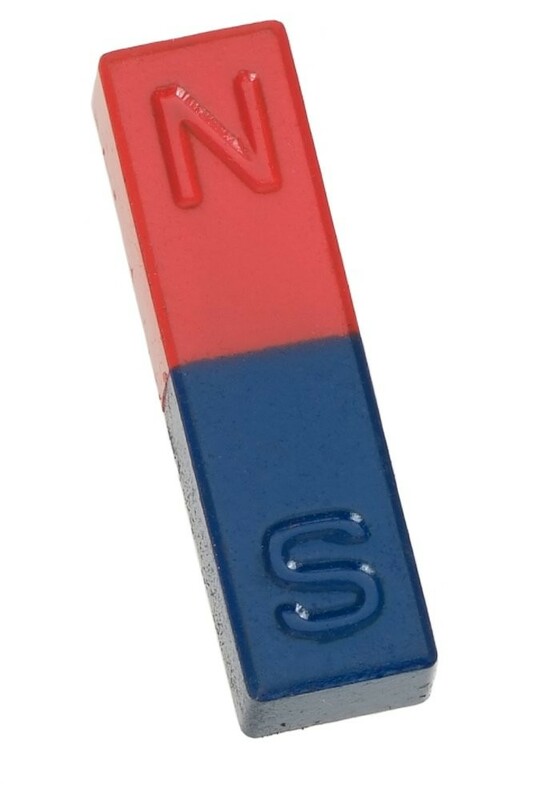 These alnico magnets are carefully painted red, for the north pole, and blue, for the south pole. This strong bar magnet is ideal for science projects or class demonstrations. It is made from an alloy of Aluminum, Nickel and Cobalt (AlNiCo) and it is extremely durable. It produces a very strong magnetic field. It comes with poles painted blue and red. This alnico bar magnet is ideal for magnetic demonstrations in classrooms or for use as a piece of equipment in the laboratory. Alnico is an acronym referring to a family of iron alloys which in addition to iron are composed primarily of aluminum (Al), nickel (Ni) and cobalt (Co), hence al-ni-co. Alnico alloys are ferromagnetic, with a high coercivity (resistance to loss of magnetism) and are used to make permanent magnets. These alnico magnets are carefully painted red, for the north pole, and blue, for the south pole. Buy Alnico Red-Blue Bar Magnet at Magnosphere and get a better deal!